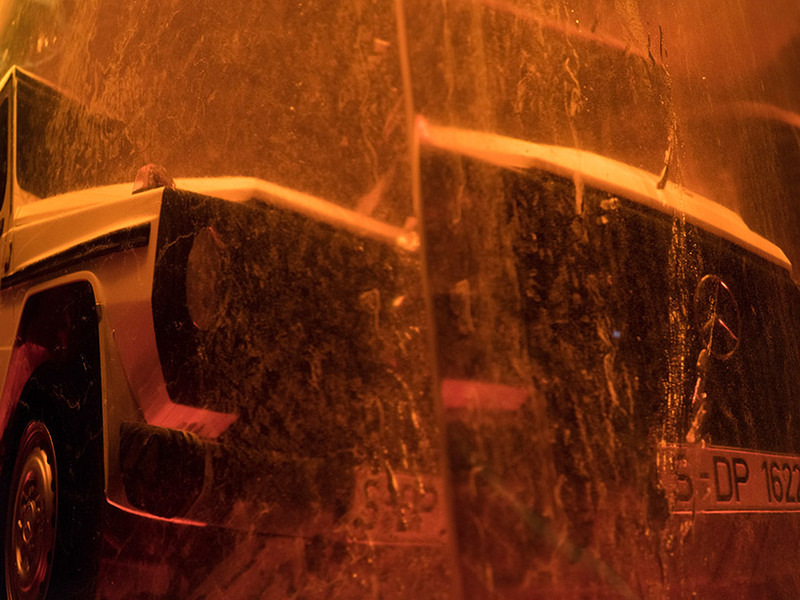 NAIAS 2018 (north american international auto show) is the largest auto show in north america and is held in detroit, michigan. 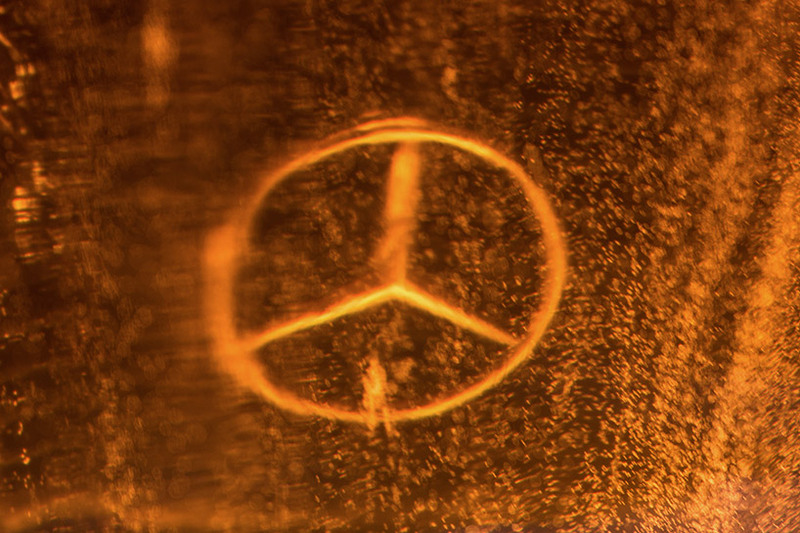 adorning the entrance to cobo hall, NAIAS 2018’s exhibition hall, mercedes-benz has created the world’s biggest installation of synthetic resin. 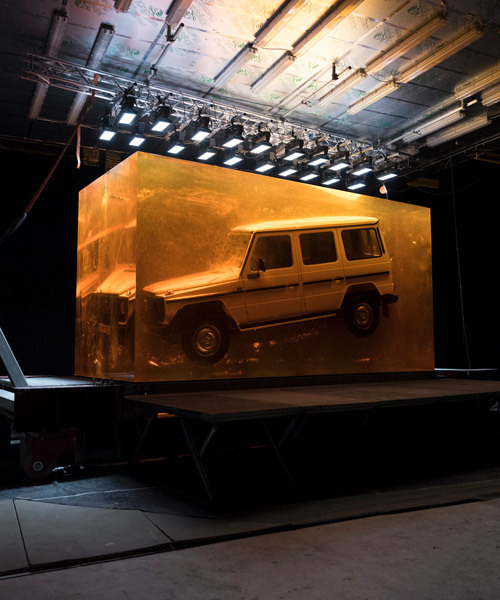 the amber-colored cube made of 44.4 tonnes encases in it a G-class from the first production year, 1979. the piece symbolizes the timelessness of the off-road legend and makes a conscious reference to the natural phenomenon of insects preserved in amber. 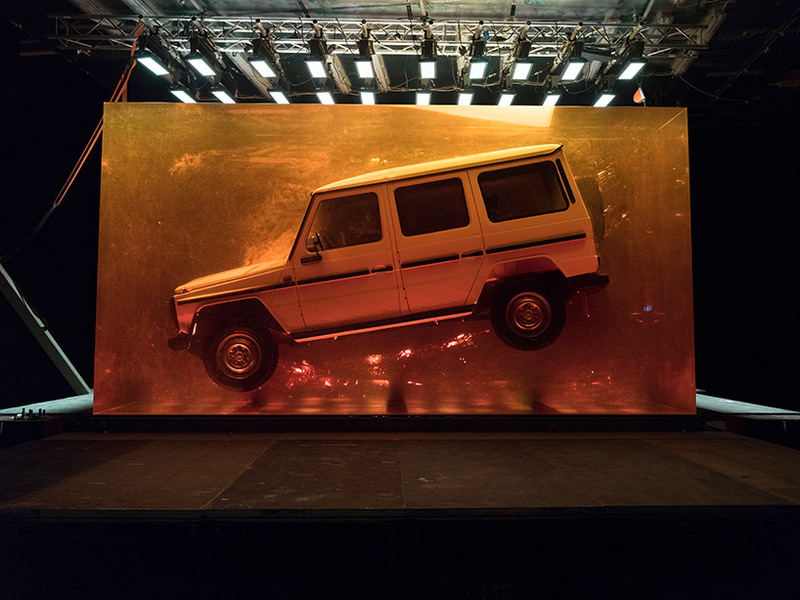 with it, the german auto manufacturer wants to portray through an art piece that these characteristics have been handed down from generation to generation, making it the perfect symbol for the premier of the classic’s newest version. 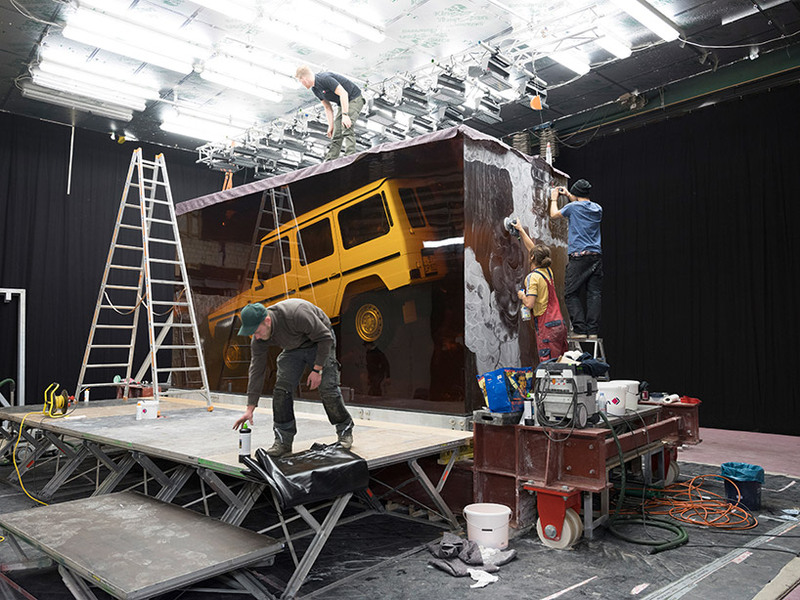 casted in a time period of 90-days, the mercedes-benz 280 GE from 1979 has been frozen in a dynamic position. 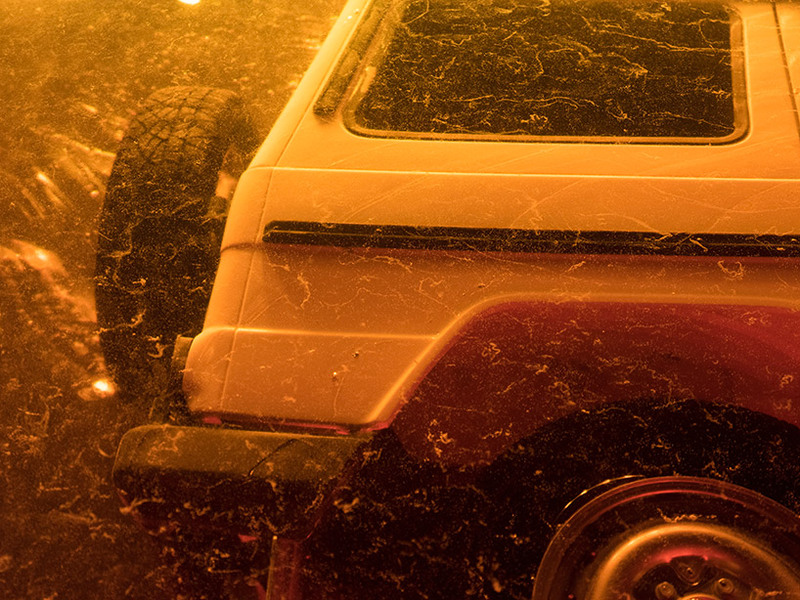 the impression is that it has been enclosed mid-stream when driving off-road, in its natural habitat. measuring 5.50 meters long, 2.55 meters wide and 3.10 meters height, the block grew by around three centimeters in height each day. 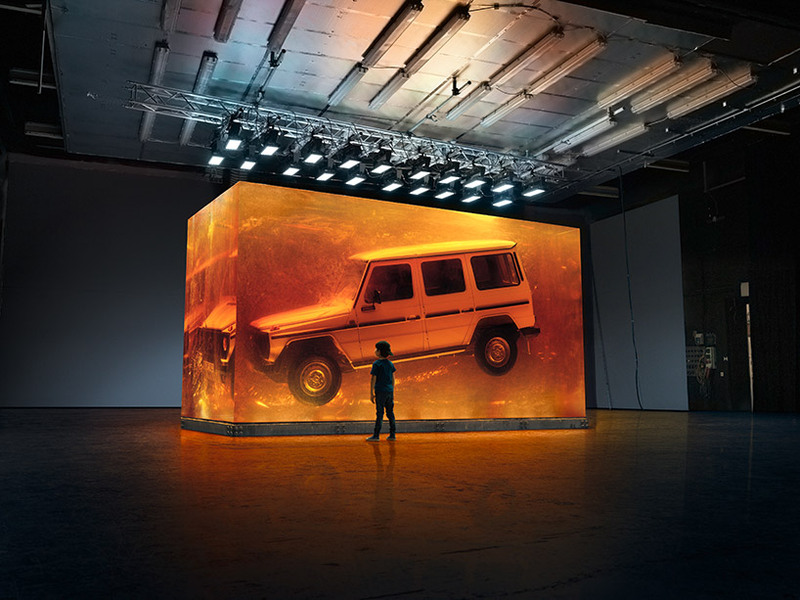 the piece, part of the campaign created by creative agency antoni, is part of the unveiling of the new G-class.